It’s one of Hollywood’s biggest tourist myths, and it’s time it was busted. Permanently. Don't let those cheesy tour companies fool you into thinking you can catch a glimpse of a leading lady walking the dog or a leading man mowing the lawn while you're riding around Hollywood in a big, noisy bus. This is the simple truth: You are more likely to see an elephant walk walking down a Hollywood or Beverly Hills street than you are to spot a movie star. And despite what all those tour companies and streetside map sellers want you to think, startlingly few of today’s favorite celebs own houses in those areas. Before you go on a movie star homes tour or go looking for their residences on your own, there are some things you need to know. Read on to find out what they are. And don’t despair. If you want to see a celebrity you can. Guaranteed. Just use this guide to seeing celebrities in Los Angeles. Many of today's Hollywood stars don't live in Hollywood, or Beverly Hills, or any of the other neighboring areas. Some of they may live up in Malibu, or down in Orange County. Many others have homes thousands of miles from LA. The few who do have homes in Hollywood treasure their privacy. They put up fences that a giraffe couldn't peek over and plant hedges so dense a gnat couldn't get through. They want to shield their homes from prying eyes, and you can't really blame them. Who wants some paparazzi, or even a tourist from East Chip taking their picture when they're trying to relax? To satisfy visitors' curiosity, tour operators and map-makers often highlight the places where a star used to live. In some cases, they just make things up or rely on unsubstantiated "facts" that are anything but accurate. Among the outrageous claims they make may include saying that Beverly Hills' fire hydrants are platinum-plated, possibly thinking that their guests are so gullible that they won't wonder why someone hadn't ripped them off just to get the precious metal. Betsy Malloy Photography. Used by Permission. On Hollywood Boulevard, in Beverly Hills, in Brentwood and on Sunset Strip, you'll find dozens of streetside vendors hawking maps that claim to show you where the movie star's homes are, their hand-lettered signs boasting "Maps to the Stars Homes." You may be tempted to buy one of these maps and run around Beverly Hills sticking your camera out the car window. In fact, their information is woefully out of date if it was ever accurate, to begin with. Don't fall for it. If you enjoy poking fun at yourself and others, here's something you can do instead, and you don't have to pay a penny for one of those useless maps. Just drive around taking pictures of expensive-looking, beautiful houses and make up a story about who lives there. The folks back home will never know the difference. 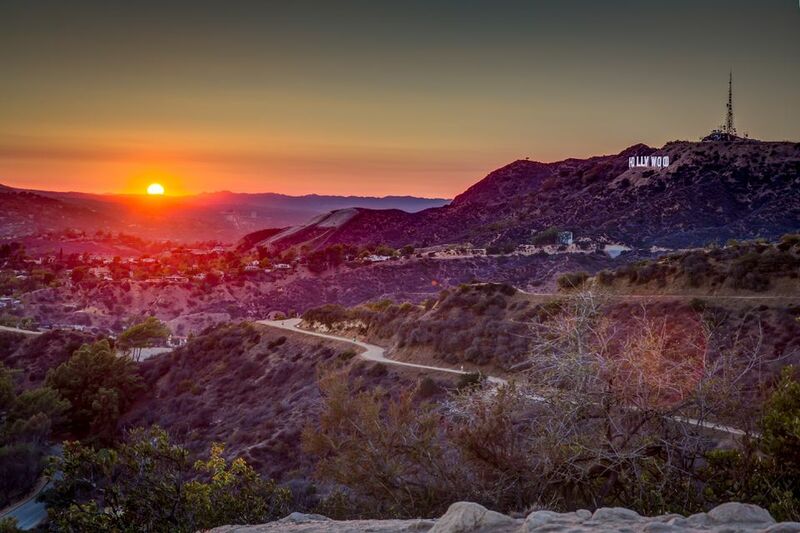 Lots of companies offer movie star home tours in Hollywood and Los Angeles. They make claims like "see where the stars actually live" or "tour of all your favorite Hollywood movie star homes." The tour companies don't fare any better than the map-sellers regarding accuracy, and they'll cost you even more. Beverly Hills Trolley Tour tells you up front that they're going to respect current residents' privacy, but they do dish up generous helpings of tales about those who used to live there. And they take you on a drive through some of the city's ritziest neighborhoods. Dearly Departed Tours is run by Scott Michaels, who prides himself on backing up everything with facts. This entertaining tour will take you to lots of interesting spots and celebrities' homes and locales where the oddest things have happened. And despite what the name might make you think, it's more gossipy than creepy. One place that you can be sure a star is really in residence is at their final resting place. Hollywood Forever Cemetery is chock full of celebs of yesteryear and happy to help you find their graves. In fact, you can find their locations on a handy map right on their website. Legendary Forest Lawn also holds the remains of famous people from all eras, but they are less helpful to visitors. You can use the interactive map at Seeing-Stars.com to find them. Marilyn Monroe's crypt can be found at Westwood Village Memorial Park. You can find it and more Marilyn-related sites in California. Seeing-Stars.com also has a big list of more celebrity burial sites in the LA/Hollywood area, or you can search the extensive list at FindAGrave.com. LA Buildings that Made History or Make You Go WOW!